Welcome back to my New Mexico State Fair coverage. If you missed my last post, take a look if you'd like. After several years of attempting to convinced the powers that be at the fair to change up their long-standing categories, a modern category has been added for the first time in forever. Renee Hoffman of Quilts of a Feather, a good friend of mine, swept the competition, taking first on all four of the quilts she entered. 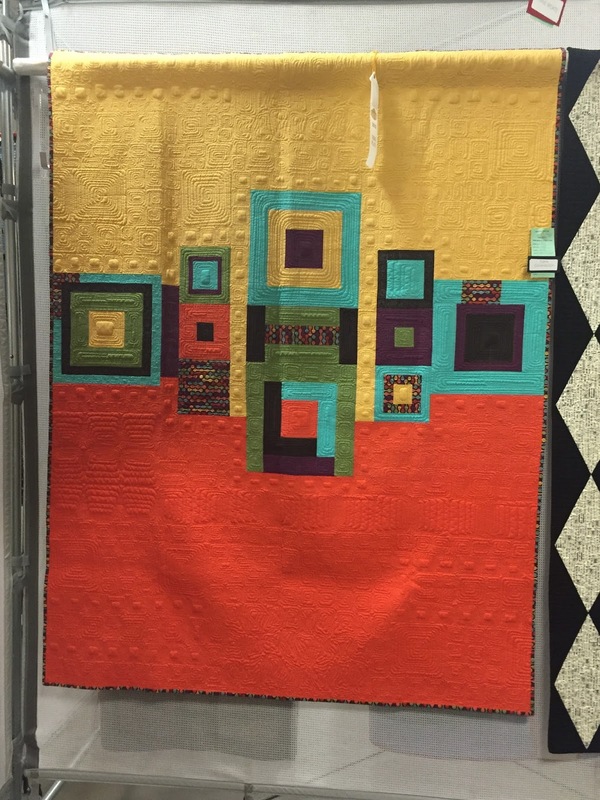 Counterbalance won the Modern Pieced category. In Memory of Jessica won first in the Non-Professional Fine Arts Mixed Media category. Renee's Starry Night Over the Rhone brought home the Wholecloth category first place ribbon and the Best Novelty Quilt rosette, which is pulling her tiny piece a bit sideways since it's as large as the quilt. 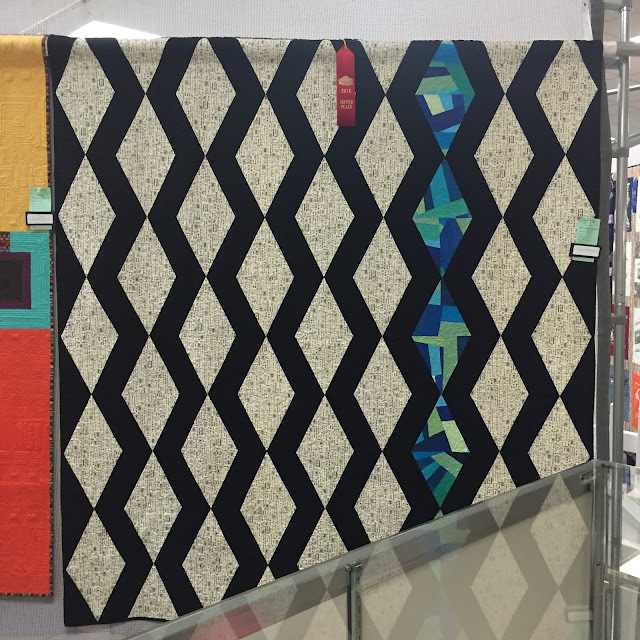 Pythagorean Spiral won Innovative Pieced. 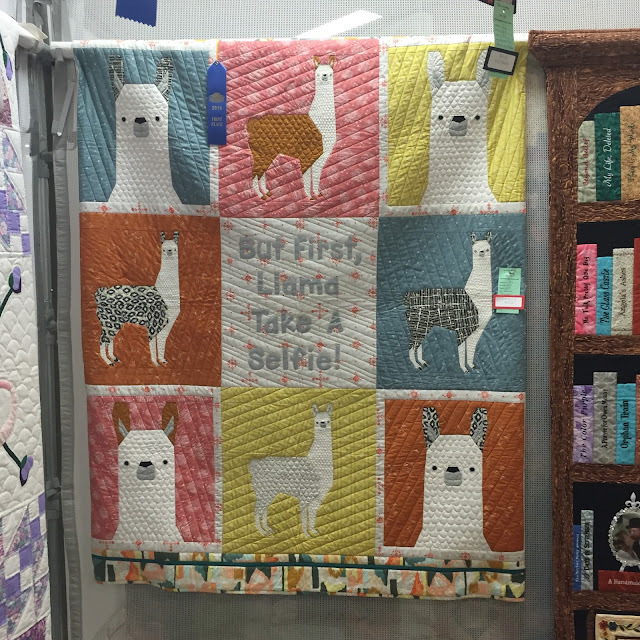 But First, Lama Take a Selfie! by Danyella Nava just makes me smile. 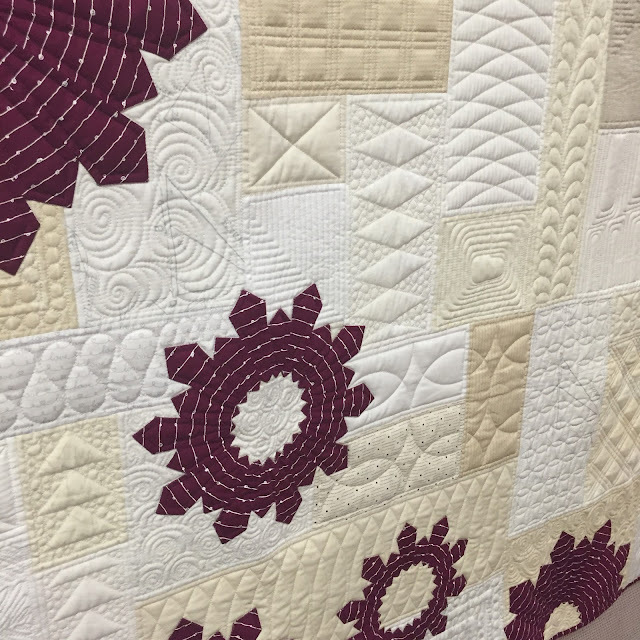 The quilting adds to the piece, and I love her fabric choices. 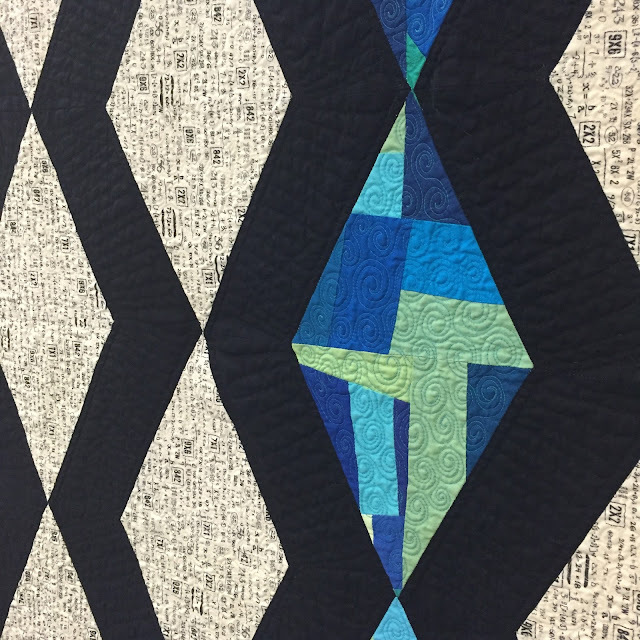 The first place Professional Pieced award is well-deserved. 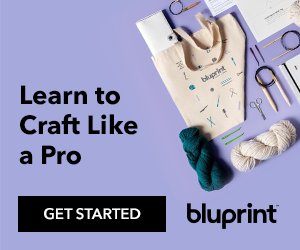 Block patterns are by Sew What, Sherlock? 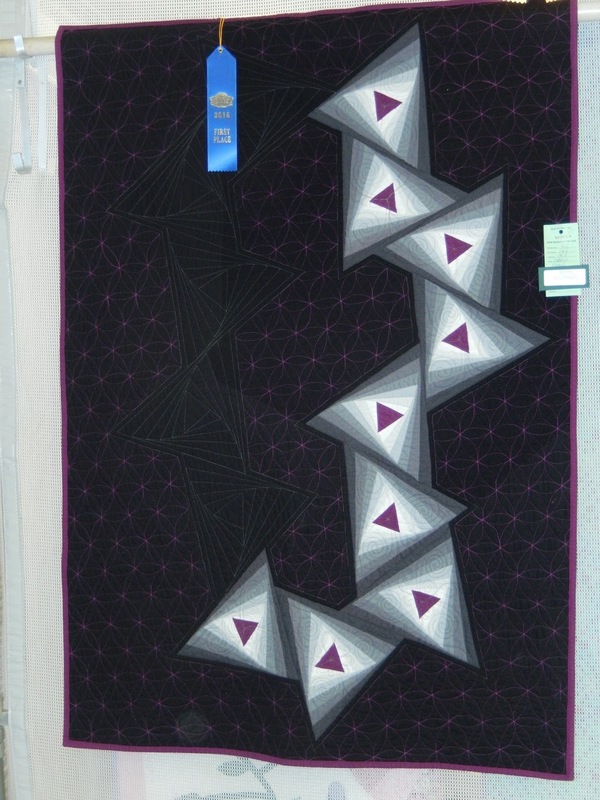 Ann Peterson's version of Facets won second in the Modern Pieced category. Aren't her fabric choices wonderful? I love the texture provided by the low volume background. 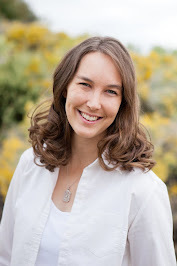 Tisha Cavanaugh, my go-to longarmer and the President of ABQMQG, did very well. She earned the Best Modern Quilt award. 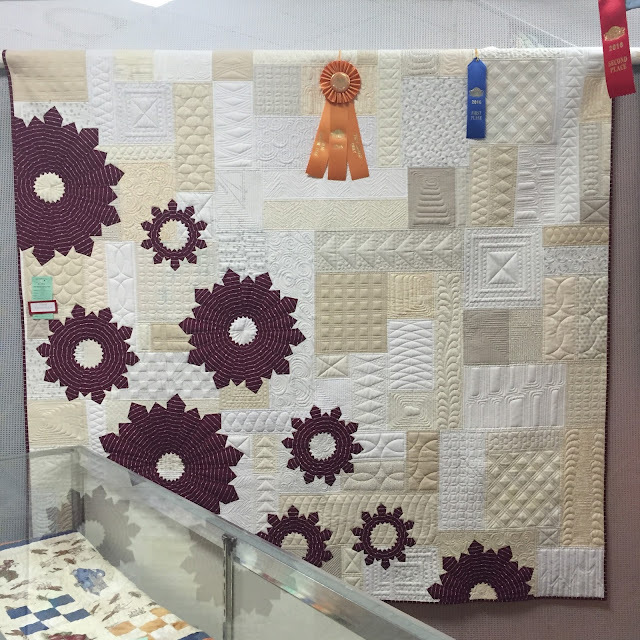 And if one rosette wasn't enough, she earned another for the Best Art Quilt. 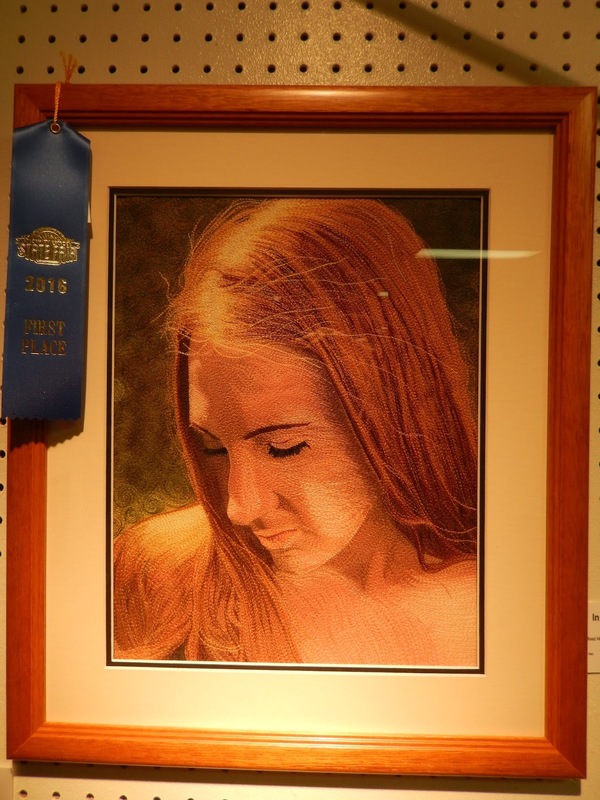 She earned third for this piece, which is also beautifully quilted. The fair entries have certainly reached a high level of workmanship and creativity. 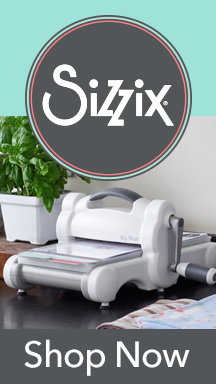 Congrats to all who entered! 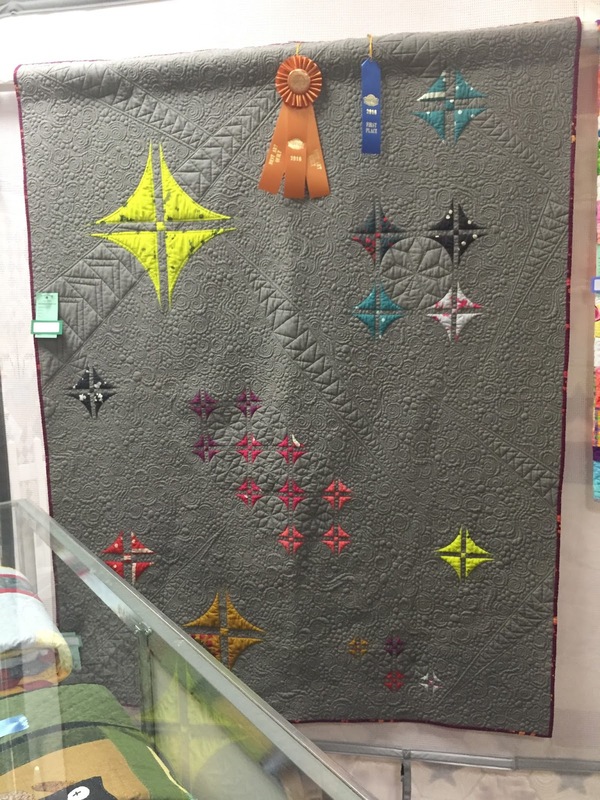 The NM State Fair had beautiful quilts! 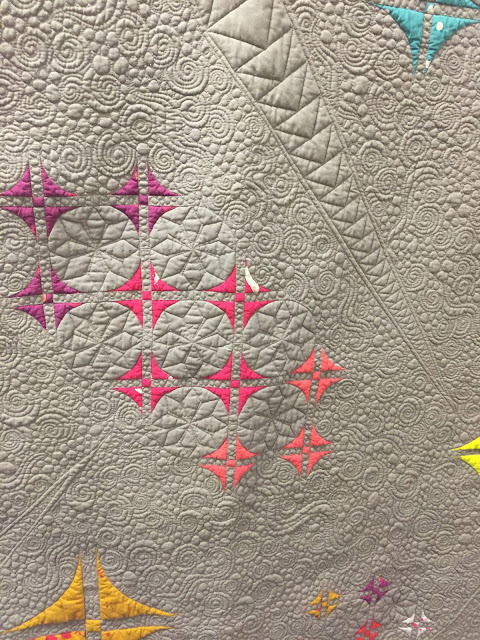 I tried to spend time looking at the quilts in the cases, too - there were many there I wish I could have seen in full. I'm impressed that they added a Modern category this year, the results show that it was clearly worthwhile. Loved the modern section, so congrats on expanding the show's display. 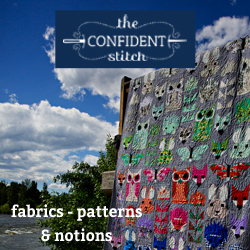 Your quilter has amazing skills--I spent a long time looking at that quilt, but congrats also to the others. Wow, there are fabulous quilts and it`s hard to choose only one best favorite.Thanks for sharing pics! Thank you so much for your last several posts with photos of the quilts at the fair. 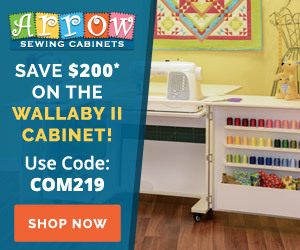 I am so impressed with the creativity and beauty of the quilts. Though I don't live in Arizona it is wonderful to be able to see these quilts second hand.